I recently volunteered with Homeward to participate in their bi-annual survey of homeless people in the Richmond region. During that four-hour experience, I learned to have a greater respect for the human beings living on our streets (and the people dedicated to helping them). I wrote a column for Richmond.com about my experience and what I learned and I have received mostly positive responses from readers. I fully expected the room to be chaos, that there would be multiple outbursts and everyone would be high, drunk or misbehaved. There was only one outburst and the homeless people in the room largely ignored and diffused the man with their own non-reaction. My friend, Kelly King-Horne, the executive director of Homeward, stepped to the man to see what he was upset about, but the majority of the room ignored him and it quickly settled itself. The entire experience was eye-opening for me, and I was as impressed with the volunteers and workers who are dedicated to working with homeless people as I was with the decorum and cooperation from the people who participated in the survey. 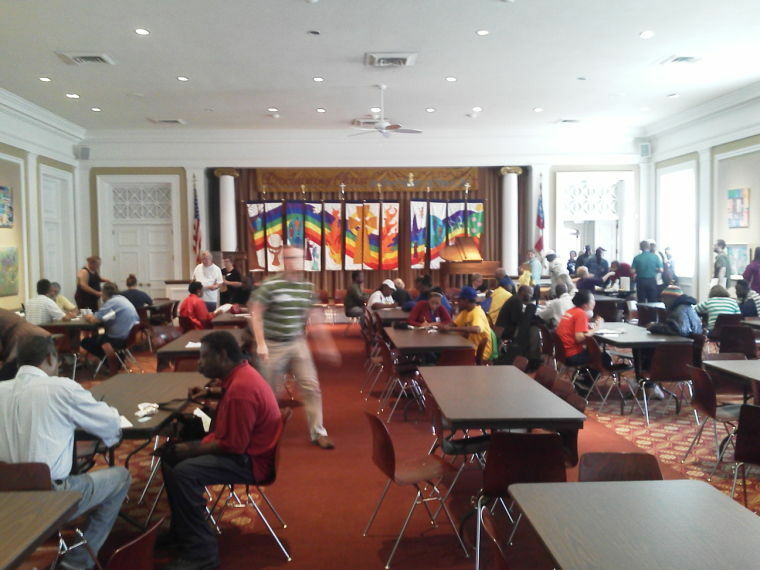 Homeward has a link to many of the Richmond area organizations that work with homeless people, including Daily Planet, Virginia Supportive Housing, CARITAS, HomeAgain, Hilliard House, Richmond Friends of the Homeless and more. Also, check Homeward’s list for what you can do to help.